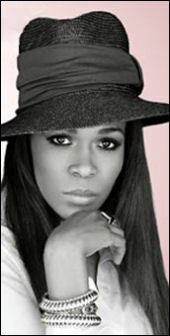 Michelle Williams was the last member of Destiny's Child to join up, but she managed to get in right when the group started to gain their largest audience and popularity. Joining herself alongside Kelly Rowland and Beyonce Knowles, she replaced two other members before helping take Destiny's Child to sales in excess of 40 million worldwide. In addition to Destiny's Child, Michelle also worked on Gospel records, releasing one prior to joining the group and then re-releasing it and another previously recorded album after the group's final effort. Michelle now looks towards more acting work, letting music take a back-burner to her acting aspirations. She did, however, slip in her rendition of Al Green's "Lets Stay Together" to the "Roll Bounce" movie soundtrack. MVRemix: Do you have more plans with regards to theatre? Michelle Williams: Yes I do. I just auditioned for a Broadway musical a few days ago in New York - don't know if I got the part yet, but we'll see. I wanna do definitely some more Broadway; Broadway is everything to me. It's so great. MVRemix: You once labeled Broadway as "life changing" - what was it that made you feel that way? Michelle Williams: Because it's so disciplined... You have to be disciplined. It also changed my life because it was something I never thought that I could do and I did it. MVRemix: Do you have any acting roles lined up in film or television? MVRemix: How did your involvement with "Roll Bounce" come about? Michelle Williams: My involvement with "Roll Bounce" came up through the label I'm involved with, solo wise, is responsible for putting the soundtrack out. So of course I would be on there. MVRemix: Why did you choose to cover "Lets Stay Together"? Michelle Williams: I love Al Green, I think he's legendary, I think he's great. MVRemix: Have you met Al Green? Michelle Williams: I have met Al Green before, but that's about it. Hopefully I can do the song with him one day. MVRemix: Having traveled the world and experienced more than most, what do you feel you still have to discover that you haven't yet seen? Michelle Williams: Um... I haven't seen a vacation in about five years. [chuckles] That's what I want to discover! MVRemix: Do you have any plans for that? Michelle Williams: Next week... Next week I'm going somewhere. MVRemix: Any ideas as to where? Michelle Williams: No, I'm not tellin' anybody. I'm just gonna go. MVRemix: Have you seen the movie "Fight Club"? Michelle Williams: Yeah, where they fight each other really bad? MVRemix: Yeah... Well a la "Fight Club," "If you could fight any celebrity, who would you fight?" Michelle Williams: As a joke? [ponders] I would fight... [ponders further] Maybe I would fight Brad Pitt. MVRemix: Do you reckon you would win? Michelle Williams: Yeah, I would win. MVRemix: Are there any other genres of music you want to experiment with? Michelle Williams: I wanna do some soul music and mix it with some jazz maybe. Michelle Williams: My first memory of soul music? Wow... My dad... Just playing his records. He has thousands of records, I believe he was a DJ when I was growing up... All types, just all types of music. MVRemix: Was there any particular album you listened to more than any other? Michelle Williams: No, because I listen to so much music, it's crazy. I'm on I-Tunes every night buying new music. Let's see. I can't say. Maybe Jonathan Butler I listen to all the time because it's relaxing. MVRemix: How do you feel the responses to your gospel albums have gone over? Michelle Williams: The response has been great, it's been absolutely wonderful. MVRemix: Do you see a Destiny's Child re-union ever becoming a reality? Michelle Williams: Oh yeah, definitely. MVRemix: Are the three of you very much in contact or are you all busy pursuing your individual goals? Michelle Williams: We all still talk, I think we're concentrating on resting as much as we can. MVRemix: Beyonce went with her name within the group, who's decision was it to make Michelle your first name for stage purposes? Michelle Williams: It was my decision, Michelle is much easier. Plus I'm glad because I can be Michelle on stage, but when I'm home I'm Tenetria. Michelle is my alter-ego; that's who I leave on stage. MVRemix: How do you feel the US Government has dealt with hurricane Katrina? Michelle Williams: I really don't get into political questions like that but I definitely know that it was a long time before the people got some help but we just pray that we do better for this hurricane that's coming now. I think we all live and we learn. I don't think we expected that hurricane would do what it did. Michelle Williams: I've definitely been with some businesses that I've been in talks with, things that I wanna try. Michelle Williams: I just wanna tell everybody thanks for your love and your support of Destiny's Child. We have a "Best Of Destiny's Child" album coming out next month, we have a live DVD coming out and if you don't have that "Roll Bounce" soundtrack, go ahead and pick it up - it came out Tuesday. I'm also a spokesperson for GAP, so go out and buy at GAP. Buy your favourite pair of jeans or whatever you want.